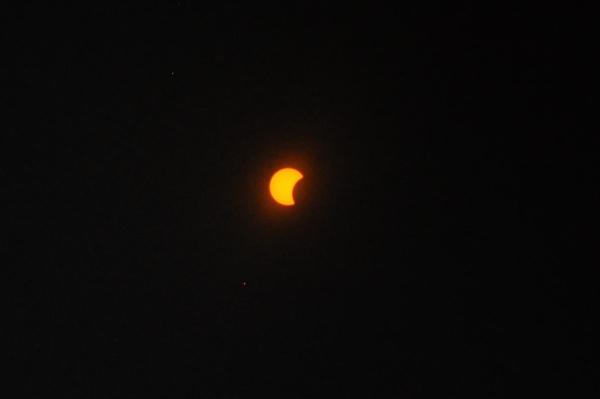 Here is what the 2017 solar eclipse looked like in Kingston, Ontario. These images were taken with the most refined methods and high tech equipment...I held my safety glasses over the lens of my DSLR. Without the glasses on my face I could no longer look to take aim, of course. So, I did a best-guess point of the camera (many times with quite varied results). Yup, nothing but pro photography for this blog. As you can see, we were not in the path of totality here in Kingston, but rumor has it we will be for the 2024 eclipse. 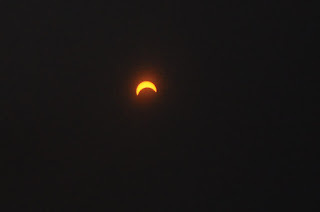 Whether or not I'll still be living here seven years from now is another question entirely, but I think seeing a total eclipse would be pretty awesome. Here's hoping.